Do these revolving discs help you feel more relaxed? then Hypnotherapy or hypnosis is a powerful tool for you. Have you ever been in a situation where your motivation, determination or discipline has failed you? One where, no matter how hard you tried, you weren't able to sustain positive change? Whether you wish to improve your health, decrease your stress levels, stop smoking or drinking, lose or gain weight, become motivated in any area of your life or business, shed your inhibitions or overcome blockages and obstacles through harnessing the power of your own subconscious then read on. Clinical Hypnotherapy is a wonderful, relaxing, safe, drug free way to create positive change in your life. It is a very effective way to make sense of some of the past situations and recurring patterns in your life. This is called regression. Sometimes for whatever reason, the subconscious input of your mind needs encouragement and strengthening, so that you can control the conscious mind to do what you want it to do. You see about 15% of the control we have over our life is conscious - 85% is in the hands our subconcious. That is why no matter how hard some people strive for change, if the change is not supported by their subconscious, it is a very unequal battle - about 5 to 1 against achieving change! Not only that - your conscious mind can handle about 40 bits of information per second - impressive? Your subconscious can handle about 40 million bits of information per second. Do you really think you can change your life without persuading your subconscious to help? - Because if your subconscious isn't involved it will be doing its best to keep things just the way they are. Hypnotherapy is a relaxed dream state, similar to when you daydream and stare into space. 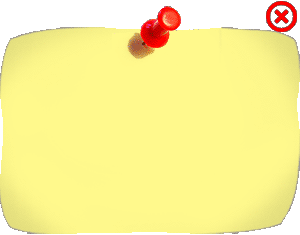 You will be asked to focus on an object or point, and become relaxed by suggestion. Once you are relaxed and the suggestions begin, the eyelids and body will become very heavy and very relaxed. 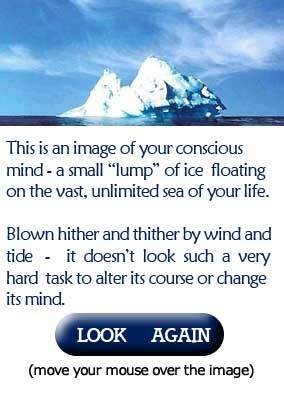 You will be aware throughout the session of what is being suggested to your subconscious mind. The suggestions will be relevant to your independent needs. The first Clinical Hypnotherapy session will take approximately 2 hours and will include an assessment with the Luscher Color Test which is a world wide recognised remarkable, accurate test which gives Personality and Psychological information about yourself through the choice of colour cards. Each session thereafter will be approximately 1 hour. You will usually need 3-5 sessions. This usually depends on your ability to be able to relax. I am a qualified Clinical Hypnotherapist and have been certified with The N.S.W. School of Hypnotic Sciences and practising Hypnotherapy as a tool for healing and transformation since 1985. My fees for Hypnotherapy are AUD$100 per hour - an appointment is essential. You can make an enquiry here or an appointment here. I am situated just outside Maleny in the Sunshine Coast Hinterland - just an hour's drive north of Brisbane. Its a beautiful place to visit and learn how you can regain peak health and vitality - naturally.